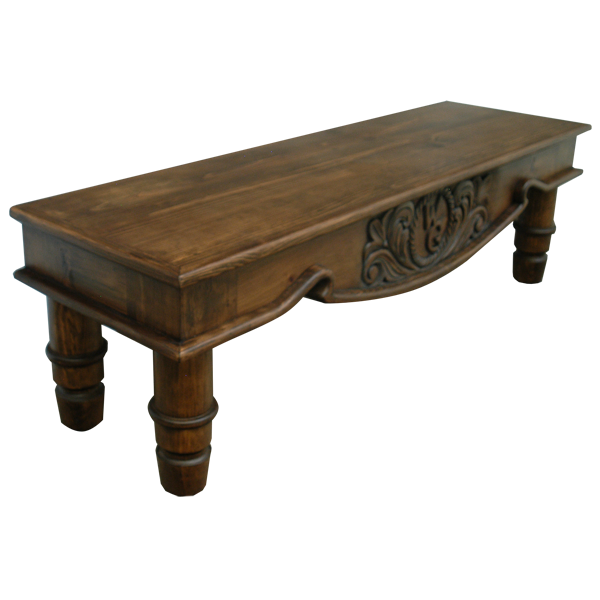 Enhance your Western décor with the beautiful finish and the hand carved details of this handcrafted, Western style coffee table. 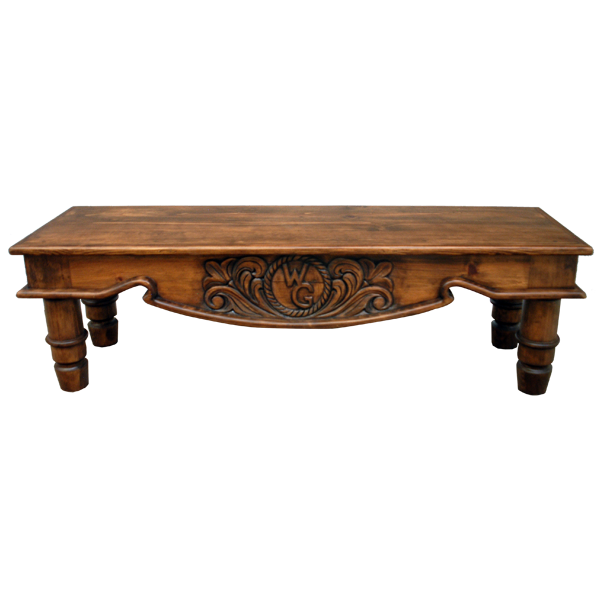 The coffee table features a marvelous, solid wood, front apron with elegant, hand carved, floral designs. Centered in the floral designs are hand carved initials encircled in a lasso, but the design can be customized in any form that you would like. The lower part of the apron is embellished with a raised, curved molding, and the raised, molding design is continued on the lateral sides of the coffee table. The coffee table has a wide, rectangular top, with a clean, straight, top rim. It rest on straight, lovely, hand turned legs, with tapered feet, and the coffee table has a gorgeous, antique finish. It is made with the best, sustainable, solid wood available, and it is 100% customizable.